It’s been a few days now since the UK voted to leave the EU, and the panic levels have been on par with that time the papers announced a country-wide Prosecco shortage. It’s going to take time for the dust to settle, especially with many tech companies saying they’re planning to leave the UK in light of the result, but in the short term all we can do is try not to panic and ensure there’s as little disruption as possible – here’s why we’re holding fast for our customers and team. On Thursday June 23rd, the British tech industry overwhelmingly voted to stay in the EU. While this means that many of us were disappointed with the result, now we have to make the most of the situation – there’s arguably never been a better time for the famed British stiff upper lip. Some of the best things about the tech industry are how forward-thinking we are and our ability to stay light on our feet – by nature we are a very agile industry. Over here at UKFast, our primary concern now is ensuring that there’s no fall-out for our customers or our team. We just want to assure people that we’re still hiring, still UK-based and that there are no plans to change that. As our CEO Lawrence said in his blog, we now need to move on from fear and carry on. “My goal was and always will be to continue to develop and grow UKFast, the Manchester economy, and the digital economy across the country, just as much as if we had voted to remain. 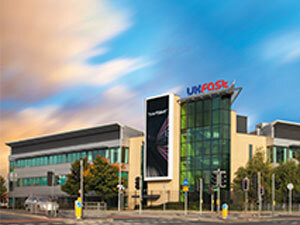 Take a look at the UKFast careers page if you want to be part of the future we’re building.